Personal number plates are now considered to be like fine wines, classic cars - an alternative investment. The values of top quality examples are growing, worldwide. You may find it hard to believe that eight of the ten most expensive UK number plates have been purchased since the onset of the 2007/2008 financial crisis and its subsequent ramifications. People are already paying millions of pounds for a single registration in some parts of the world. In the UK, outstanding examples command prices in excess of half a million pounds. It's the easiest thing in the world to sell and buy a number plate through Regtransfers. It is the ultimate plate for the ultimate car. 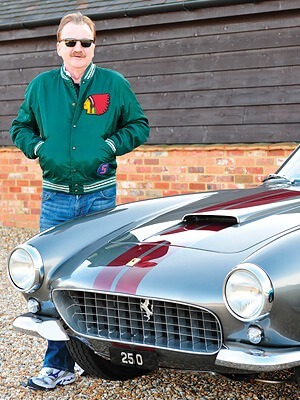 I could have bought a really good Ferrari for the money but I decided I really wanted the plate and I wasn't going to stop bidding on it. If you look back over the last ten years, the value of number plates has gone up a lot. Those are the very top performers but if you want more then see our expanded table below featuring the full top 50! Spending a few hundred pounds on a personalised number plate is something most people are quite comfortable with; the increasing number of private registrations sold in the UK each year demonstrates the fact. That shouldn’t surprise us; a good registration can do more to personalise a vehicle than any other change. A flashy spoiler or custom paint job may be eye-catching, but no one can guarantee it will be unique. With a private registration, that is exactly what is guaranteed: uniqueness, forever. What is it that makes someone willing to pay thousands of pounds for their ultimate personalised registration number? The factors that dictate the value of a registration number are many and varied. With initials, it is mostly the number of people who have those particular initials. If that number is large, then the potential demand is considerable and that can make some "initials" plates fairly valuable. With names and words, the value comes from a combination of potential demand and the quality of the number from a visual point of view. With "number 1" plates, the value is due to exclusivity and prestige. We’ve been dealing with Registration Transfers now for nearly 25 years, they’ve supplied a hell of a lot of number plates for us, and you can see the amount of publicity that we get. Celebrity customers that use us, in the paper, everybody seems to mention the vans, everybody mentions the number plates. It’s our biggest form of advertisement, and hopefully we can continue to work with Registration Transfers for years to come. 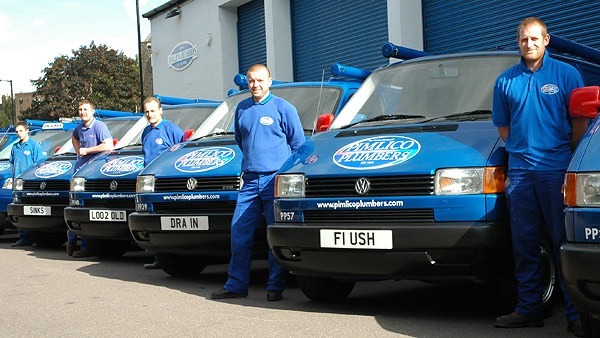 They have offered us a great service which has certainly got us, the company, to the position we are in today as the most known plumbing company in the world. Fun and sheer enjoyment drive the vast majority of number plates purchases, but increasing number of buyers purchase their private registrations speculatively, with the intention of selling later at a profit; and it really is a serious investment, as serious as investment in stocks and shares, or in art. Former Top Gear presenter Quentin Willson is famously quoted as saying that a good personal registration could be "better than money in the bank". The earliest numbers issued in Britain are now much more than 100 years old, thus meeting the widely applied age criterion that defines an antique. Furthermore, there is an emerging market in private number plates for marketing, PR and branding in business. Sir Alan Sugar and Dragons' Den moguls Duncan Bannatyne, and Theo Paphitis all recognise the usefulness of private plates when it comes to building and reinforcing an image. Sir Alan's AMS 1 plate featured prominently in the opening sequence of The Apprentice. See also The World's Most Expensive Number Plates.